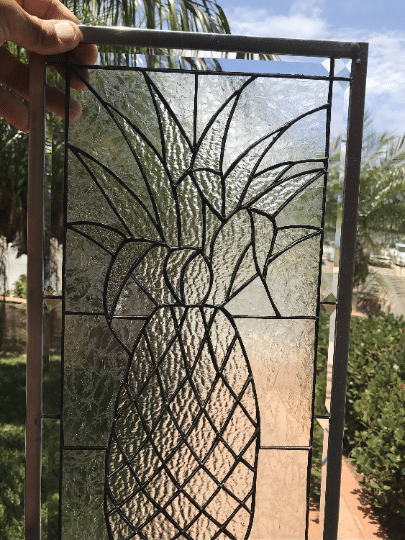 Add a tropical touch to your home with our all clear pineapple leaded stained glass window panel. No matter where you live, you give your home a vacation-like feel year-round. 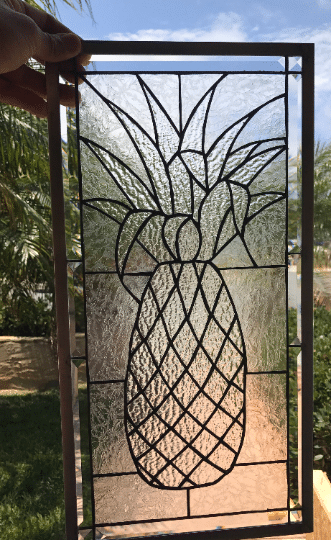 Made with textured clear glass and beveled edges, this pineapple is a great addition for your patio bar or poolside area, or anywhere you’d love to bring in the relaxed vibe of the islands. No passport required! 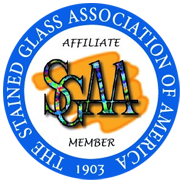 Categories: Windows Made-to-order (Wide Range of Designs), Beach & Ocean, Flowers & Fruit. Crystal Pineapple – Less is more with this etched glass pineapple highlighted in a lattice of geometric rectangles.